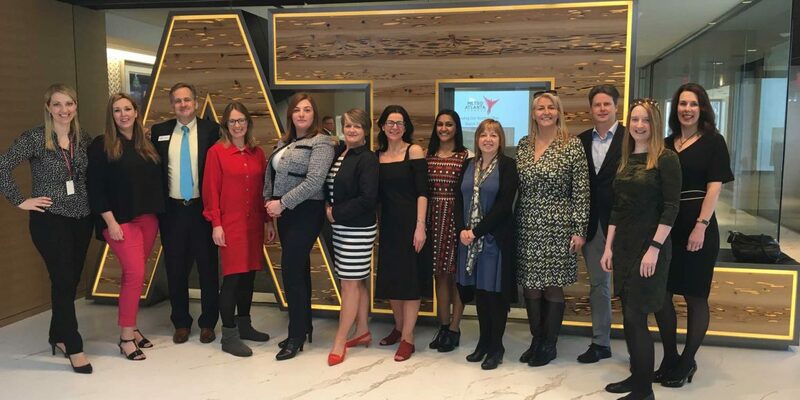 During the week of 20 March I took part in a joint DIT / Northern Powerhouse Female Founders trade mission to Atalanta, Georgia, USA. This was a very inspirational trip in terms of the wonderful people that I met and the opportunities available to businesses in Atlanta. Exporting to the USA is very clearly on the agenda for Esteem – No Pause, hence participation in the trade mission, and Atlanta is a major distribution hub within the USA. It is also home to UPS who have a fabulous headquarters surrounded by nature. I was introduced to fellow entrepreneur Kelly Burton founder of Bodyology, a range of clothing developed like mine to solve a personal problem experienced by many others. We discussed amongst many things the difficulty in getting people to acknowledge that a product is something that they want or need. We are both addressing the natural process of sweating. Chatting to male attendees at our many receptions it was very clear that there is a market for my male t-shirt to be worn under business shirts as a solution to the Southern Summer. Having followed up my trip with 5 days in Florida I can highly recommend the Vest and Vest Slipdress as daywear to keep you dry in the heat. I would like to thank the wonderful people at DIT Atlanta who made our wonderful connections possible, and to my fellow Female Founders with whom I had a blast. Next post Next post: Our Very First Newsletter !